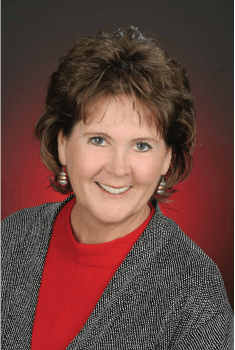 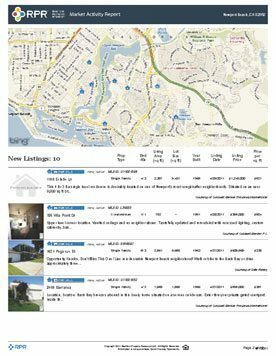 The Market Activity Report is a snapshot of all the changes in a local real estate market. 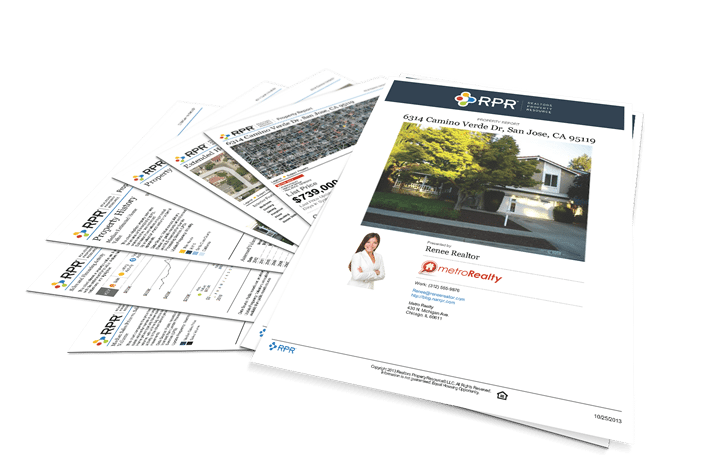 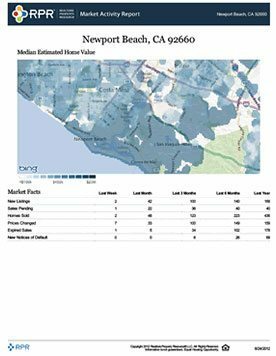 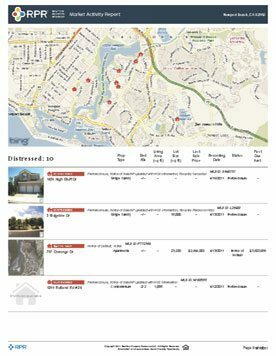 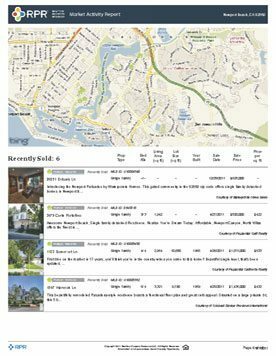 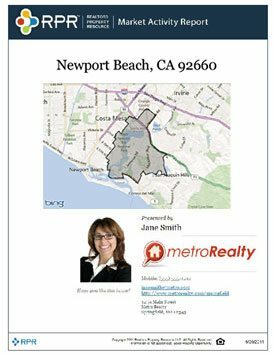 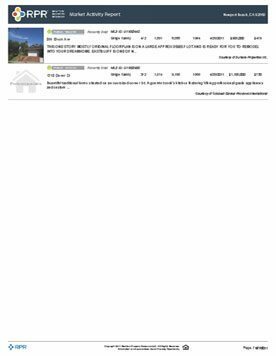 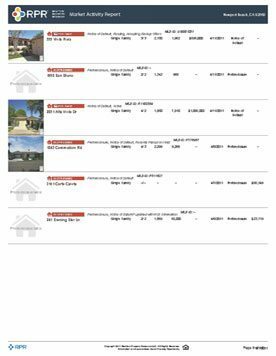 It includes a market activity summary and a listing of active, pending, sold, expired and distressed properties. 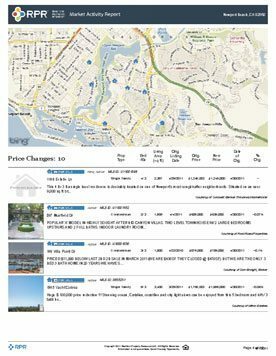 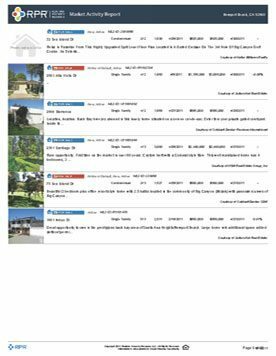 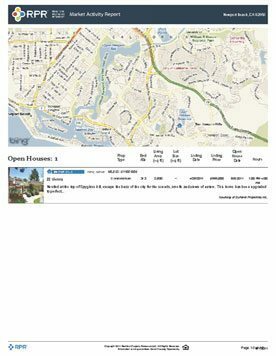 Recent price changes and upcoming open houses are also included. 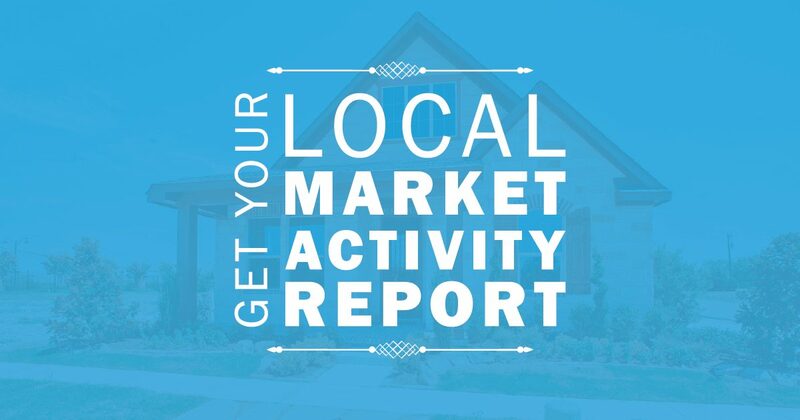 The Market Activity Report provides an excellent report of what’s going on in our local real estate market based on the most up-to-date data available exclusively to REALTORS®. 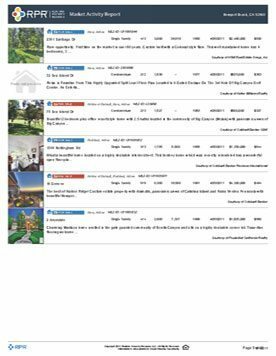 The Market Activity Report typically runs about 11 pages.